Door stops can be wall or floor mounted. Some include door holders as part of the stop. Door stops protect the door and the wall as the door is opened. Door holders provide additional control at the opening. 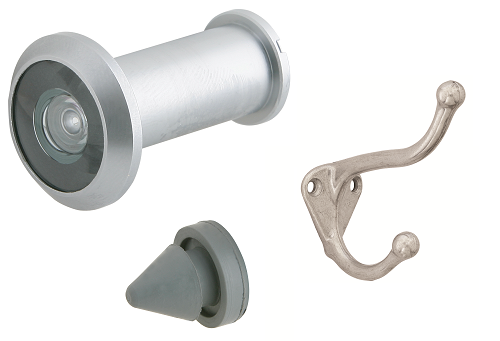 We offer a wide range of sliding tracks, pulls and locking hardware for sliding doors and pocket doors. Out swinging exterior doors are prone to vandalism and abuse from intruders trying to gain entrance. 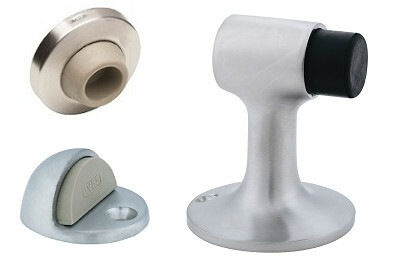 Latch guards protect a door and hardware from crowbars and other tools that could compromise the doors security. Door viewers allow the occupant of a room to view the other side of the door without having to open it. Silencers are used to cushion the closing of the door against the stop of the frame. Single doors require three at the strike jamb and double doors require two at the head of the frame. Coat hooks are installed to the back of doors and allow individuals to hang coats, hats, and other items on the door. 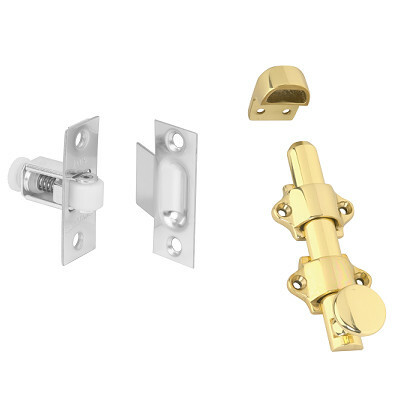 Roller latches allow the push and pull operation of a door without a lever or a closer. A gentle pull will open the door and can be easily pushed closed as the roller slides back into the strike. 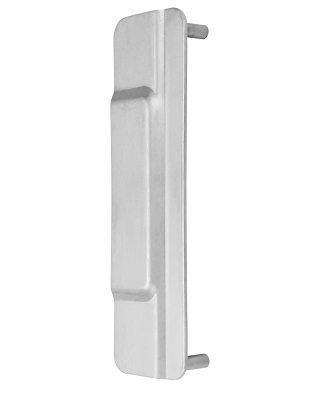 Surface bolts are often used on Dutch doors or can be installed on the inactive leafs of double doors. The strike can be mortised or surface mounted, depending on the application.